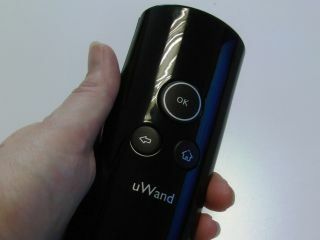 The head of Philips' uWand project believes that existing remotes are unwieldy and need to be replaced – and that the pointer-based uWand is a better solution than Natal-type gesture interfaces. "If you see all these new TVs that try to stick to their up, down, left, right remote controls, it's quite cumbersome in our opinion," said Navin Natoewal, General Manager of uWand at Philips. "It's not built for it. But still the industry tries to hold onto it." "We think we can change that and make the navigation of TVs more intuitive… and at the same time make better UIs. At the moment UIs are quite limited… with better controls you can make better UIs.